The Edmonton Heritage Council has undertaken a number of initiatives that explore Edmonton’s past and present, and look toward the city’s future with the goal of providing Edmontonians a deeper understanding of who they are. The Edmonton City As Museum Project tells the best stories Edmonton has to offer, from the perspective of Edmontonians. A stepping stone to an eventual bricks and mortar city museum, the Edmonton City As Museum Project uses the web to preserve and present Edmonton’s urban heritage: the people, places, things and moments that make us who we are. 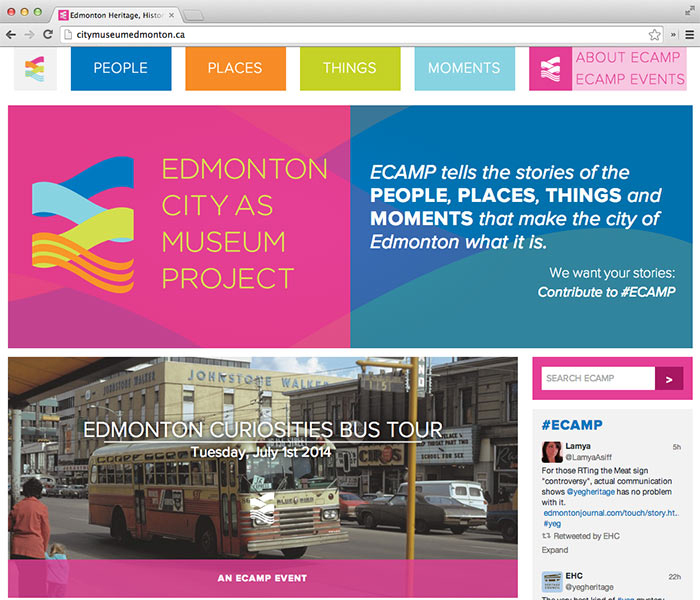 Far from a dusty archive, the Edmonton City As Museum Project—or #ECAMP—offers a colourful look at this multifaceted city. 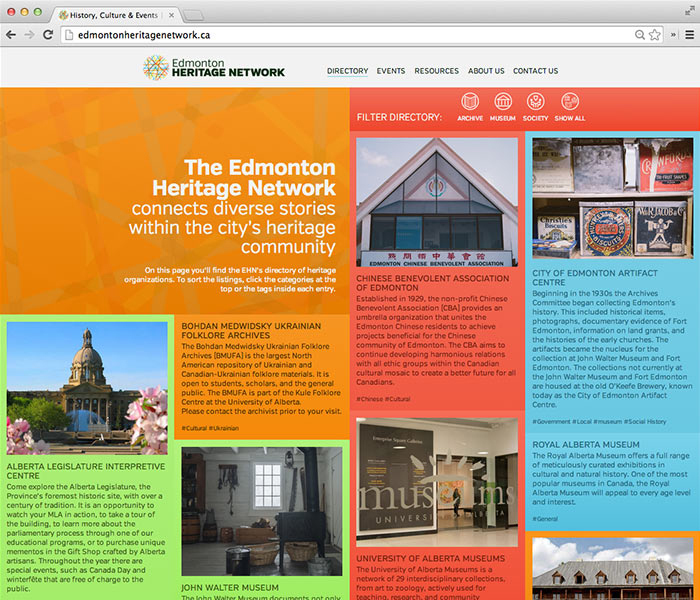 The Edmonton Heritage Network facilitates connections between Edmonton’s heritage stakeholders. It aims to break down silos, build relationships between heritage organizations and facilitate projects that respond to shared needs. Edmonton’s heritage organizations tell the story of the city from different perspectives. The Edmonton Heritage Network aims to unify these narratives, to join perspectives that may seem disparate but together make up the fabric of our urban history. 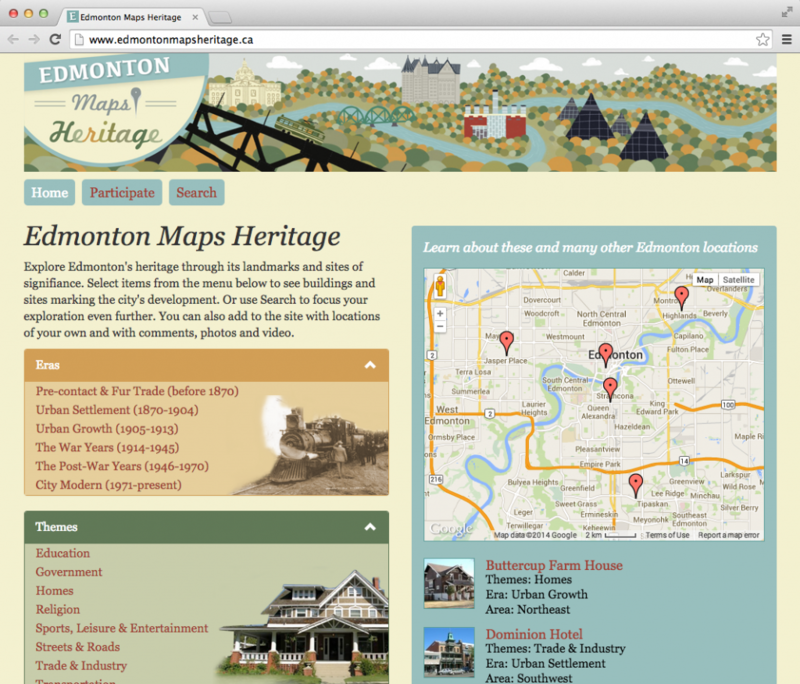 Edmonton Maps Heritage is a collective, active and ongoing “mapping” of the city’s heritage. It anticipates broader public involvement in continually adding more content on Edmonton's experience and culture, historically, culturally and artistically. We hope that users will connect with the site visually and functionally, but above all, find that the content enriches their sense of their city and community. 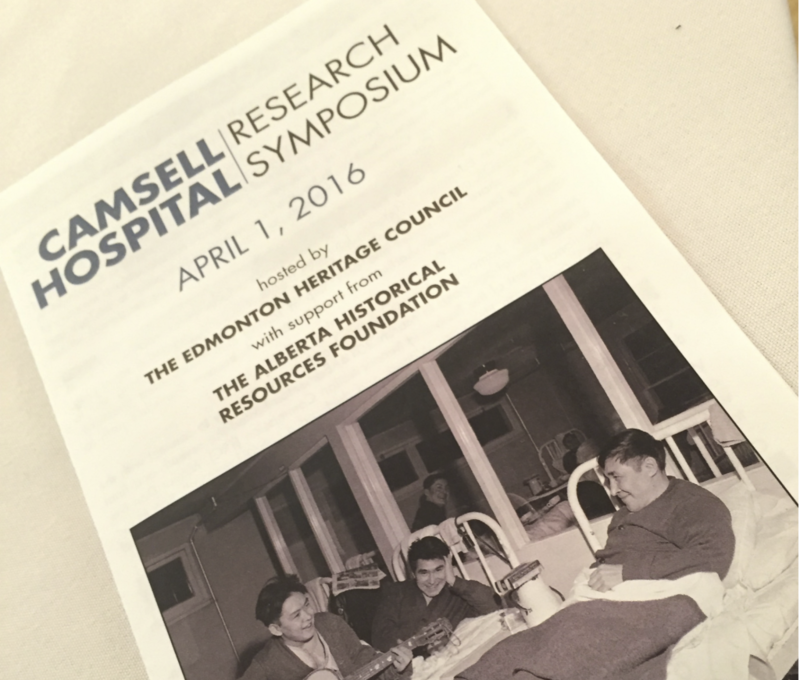 On April 1st, 2016 a diverse group of people gathered at the Santa Maria Goretti Centre with one aim: to explore the many sides and stories of the Charles Camsell Hospital site from its early days through to its decommissioning in 1996. Elders, former patients, academics, as well as heritage and health professionals gave presentations and worked together in facilitated groups, all to increase our general understanding and think of ways this history can be accessed, shared and acknowledged. 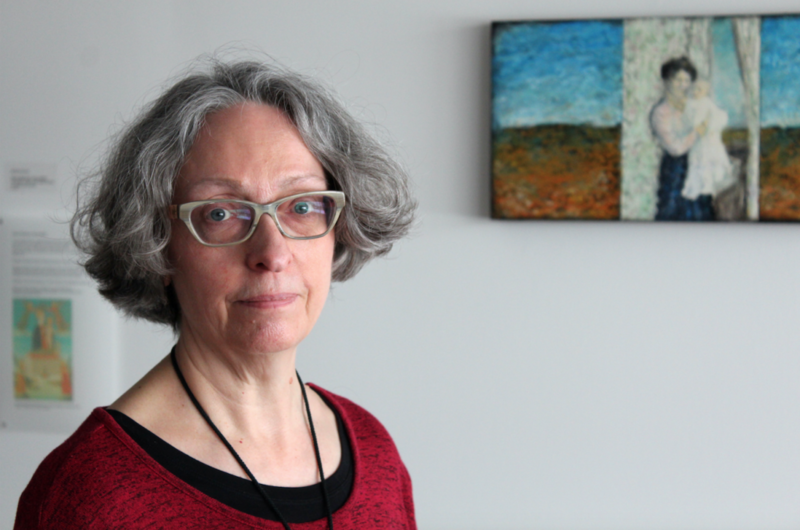 Marlena Wyman is visual artist and archivist, and is Edmonton's current Historian Laureate, succeeding Chris Chang-Yen Phillips in April 2018. She works to shine a light on some of the lesser known stories in the City’s archives, and interpret those through an artistic lens. She also encourages her fellow Edmontonians to fill the gaps in archival holdings in order to help complete our historical record. Capital Modern allows us to explore the impact that modernism had on our city’s development during the most productive period of the last century and seeks to find the connections to the design and architecture of today. 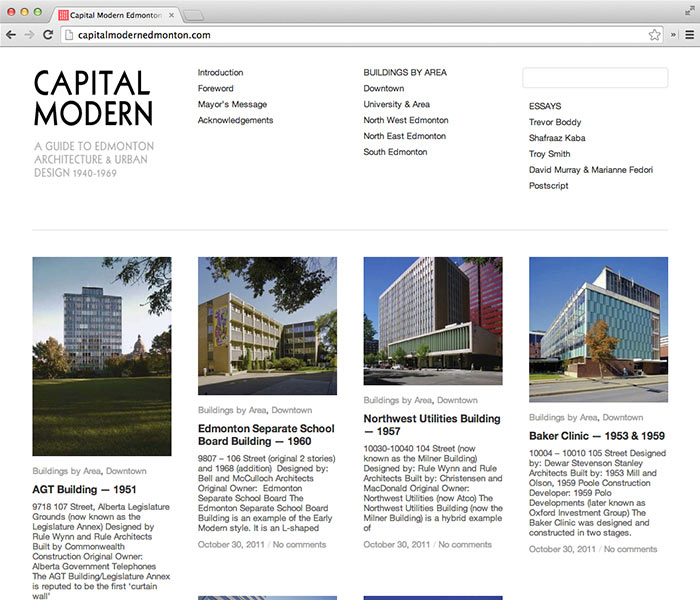 This website is intended as an interactive reproduction of the material contained in the publication Capital Modern: Edmonton Architecture and Urban Design 1940-1969 (copies still available at the Art Gallery of Alberta Shop), a companion publication to the exhibition of the same name held at the Art Gallery of Alberta in 2007.